The US is usually number 1 in the German research firm Gfk’s rankings, headed up by political consultant Simon Anholt. They ask some 22,000 people around the world to rank countries on six scales. This year it fell five full places to number 6. No such fall has taken place since 2004, when Americans elected George W. Bush to a second term. And in the past, falls only lasted for a year. 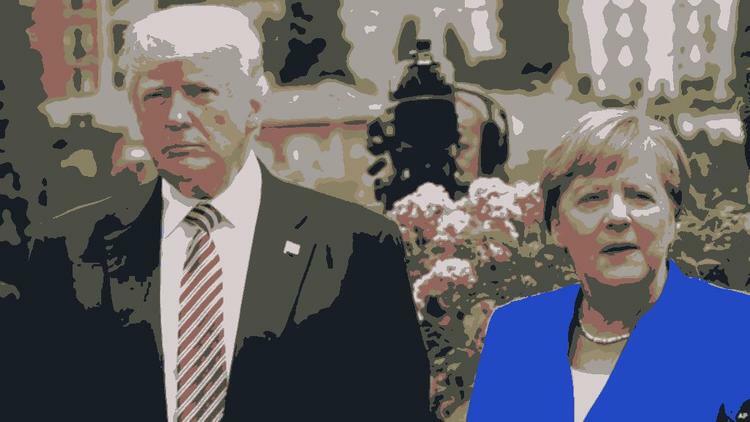 Angela Merkel is the leader of the free world, not Trump. The Gfk’s poll doesn’t just measure favorability, but looks at 6 dimensions of a country, so that the US fall from grace is all the more surprising. The dimensions are governance, people, culture, exports, immigration-investment and tourism. In governance, the US had been in 19th place. It is now in 23rd. Out of 50 countries. People think the US is worse governed than nearly half of the developed countries in the world. This dramatic fall in the governance score is pretty obviously caused by Trump. There are categories where the US still performs very well. It is second in Culture and in Exports. So they like our music and films, and want to buy our cars. It is fifth for immigration-investment, which is a significant statistic. There are four other countries people from around the would rather invest in over the US, and four other countries they’d rather emigrate to than the US. I think the word got out that we as a country voted for Trump. Germany has risen to the top of the list, displacing the US from global leadership. The only category where Germany is not in the top 5 is tourism. (Not sure why– Germany is *nice*.). Germany improved its standing markedly in some countries. It was up 5 points in the view of Egyptians, e.g. But Americans are suspicious of it– it did not break the top ten with them. France came in second, propelled by the popularity of Emmanuel Macron for governance but also benefiting from the impression that its culture and tourism are first rate. Japan also climbed up the rankings this fall, in part on the quality of its exports. The finding about the US decline is alarming and could be a sign that Trump is dragging the country down. In turn, that is important because many US goals require international cooperation.